Annnddd I'm back with a juicy new travel guide from the weird and wonderful city of Los Angeles. L.A. has been on my travel bucket list for some time now but I certainly didn't expect to be visiting so soon this year. I had an entire week to explore and eat my way around the city and decided to collate a list of my top recommendations for those of you who might also have La La Land on your radar. I'm sure by now you are aware of my love for good food, and so it will come as no surprise that I'm kicking things off with my top recommendations for you fellow foodies. 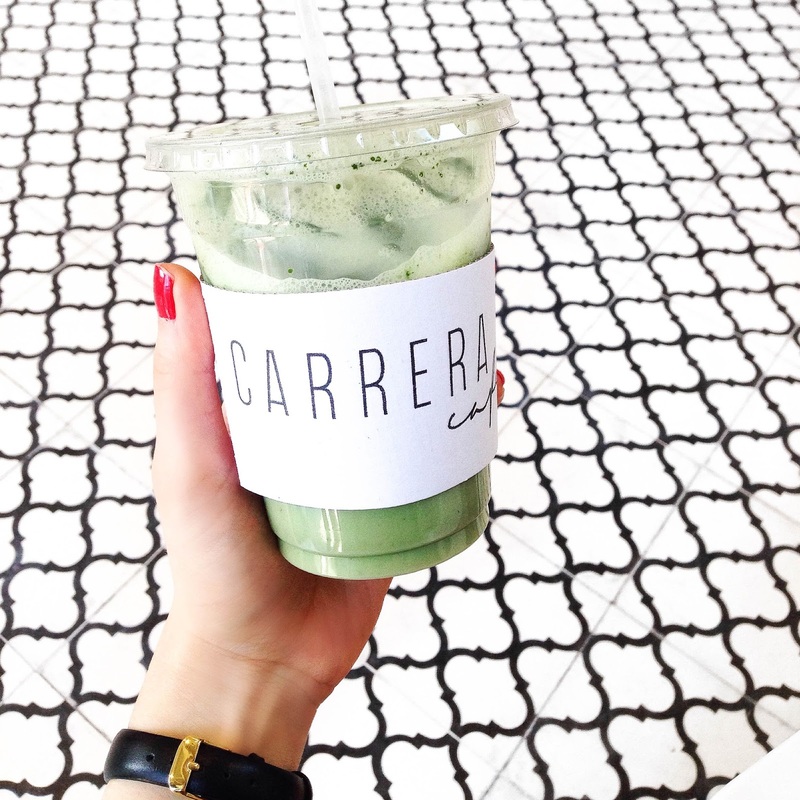 L.A. is well known for it's hiking and green juice kinda culture so I was pretty excited to explore all of the wonderful healthy cafes in the city. 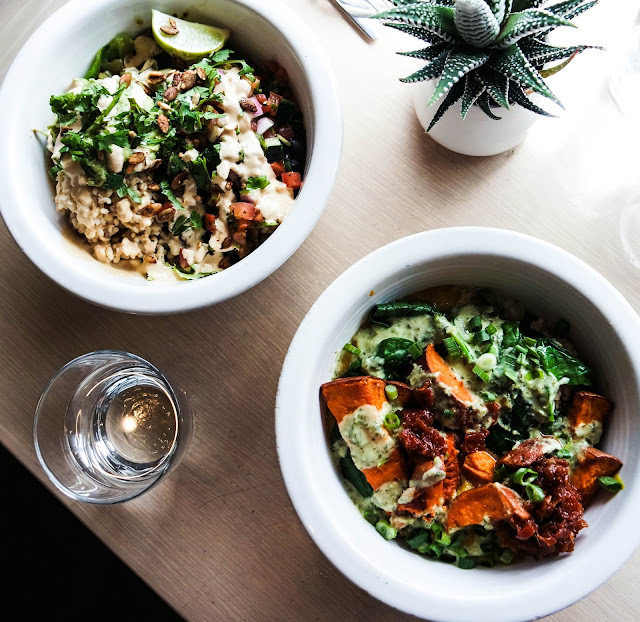 Although I eat plant-based myself, I would highly recommend these spots regardless of your dietary choices as you'll find plenty of mouth-watering options on offer. Expect nourishing twists on your usual favourites (lasagne anyone?) 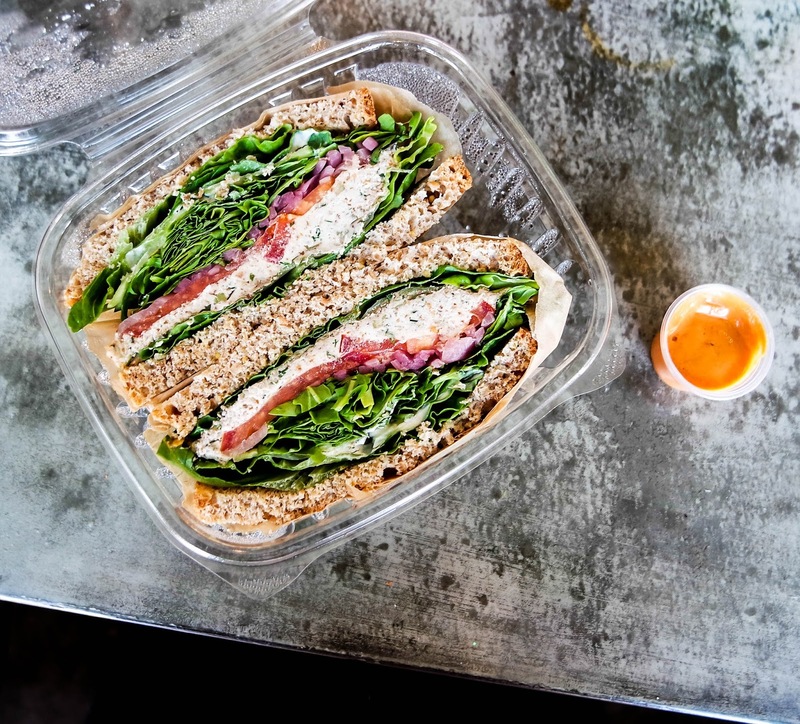 as well as wholesome salads and superfood lattes. Do you have a pen and paper at the ready? Let's get started! Cafe Gratitude - With an entire menu packed full of innovative plant-based dishes, you really can't go wrong at this place. I've been following (and drooling over) Cafe Gratitude on Instagram for a couple of years now and it certainly did not disappoint. We went for the Mexican and Indian inspired bowls for lunch which were both delicious and incrediblyyy satisfying. I'm still dreaming about those roasted yams! Gracias Madre - Another entirely vegan and organic spot but this time based on Mexican cuisine - which I think is just genius! Who can say no to some good guac? Not me, that's for sure. Again, gorgeous interiors and a wonderful outdoor seating area that makes this the perfect spot for a relaxed lunch or dinner. Soom Soom Fresh Mediterranean - It's no secret that Mediterranean food is one of my favourite cuisines and so I was pretty happy to discover this little gem located fairly close to our apartment. Try the roasted cauliflower plate which comes with your choice of salads and a very generous dollop of creamy hummus - mmm. Lifefood Organic - This health food store and cafe offers an interesting selection of raw vegan options that might take you by surprise. I'm talking spaghetti carbonara, pizza and even a vegan tuna sandwich! If not for food, stop here for a little browse and perhaps a fresh juice if you happen to be exploring the Hollywood area. M Cafe - This little spot in Beverly Hills serves the most incredible lentil bolognese, you've got to try it if you're in the area. Made with French lentils and served with truffle cream, this stuff is seriously good. I would recommend grabbing an outdoor table to people watch and soak up the rays for ultimate enjoyment. The Butcher's Daughter - Although we didn't stop here for food, this cafe has all the hot drinks your heart could desire. Whether that's chai, a matcha latte or something in-between. They also had a selection of baked vegan treats including cookies, cakes and brownies which proved impossible to resist. Peanut butter cookie? I'll take two! Pressed Juicery - I finally got around to trying the infamous Pressed Juicery 'Freeze' at The Grove and it definitely filled the ice-cream shaped hole in my belly. It's essentially like a frozen yoghurt but made with 100% pressed fruit, nuts and veggies, how incredible? I went for the vanilla flavour and topped with berries, granola and almond butter. So that's it! That's my round up of food favourites in Los Angeles. Did this post leave you feeling hungry? Are there any spots that I should add to my list for next time? Let me know in the comments below and watch out for part two of my L.A. blog posts coming your way soon! All the food looks and sounds amazing. I need to go to LA now. Great recommendations! Thanks for sharing! OMG! It all looks so good! I'm pinning your post for when I make my way over to the US!